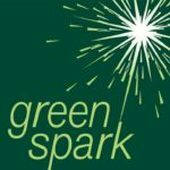 Green Spark Ventures is a family-run investment company focusing on clean energy, conservation, and regenerative agriculture. Green Spark is committed to putting both investment and philanthropic assets to work to accelerate the development of clean energy, protect important natural habitats, and strengthen healthy food systems. MAD is driving an agricultural revolution that restores our relationship with Earth so all of life can flourish for generations to come. Our 3 core initiatives create a new agrarian culture with community, story and innovation in carbon farming and regenerative agriculture. Community: We host gatherings, workshops and are ardent activists for soil and ecological wellbeing. Story: We are crafting the new mythology of humans on earth. We are telling a new story of deep connection and reciprocity with the land and sea. Agriculture: Carbon is the engine of life. We are creating market-oriented strategies in carbon farming, with a focus on developing perennial grain agroecosystems, creating the first regenerative poultry feed and helping farmers develop holistic carbon farming plans.